Tour Wilmette! Sunday October 1, at 2 P.M. 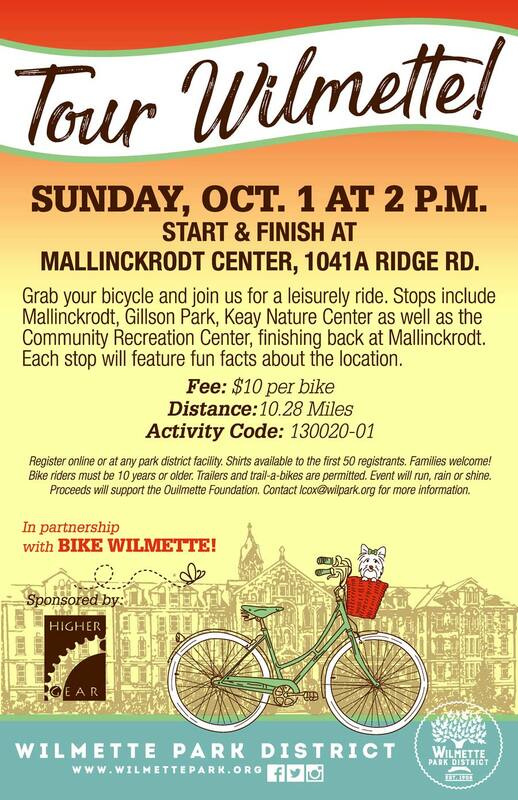 The Wilmette Park District is hosting an inaugural guided bike tour featuring Park District facilities. The leisurely, 10-mile ride will begin and end at Mallinckrodt Park. Register on the Park District website using Activity Code #130020-01. $10/bike. Sunday, Oct. 1 at 2pm.